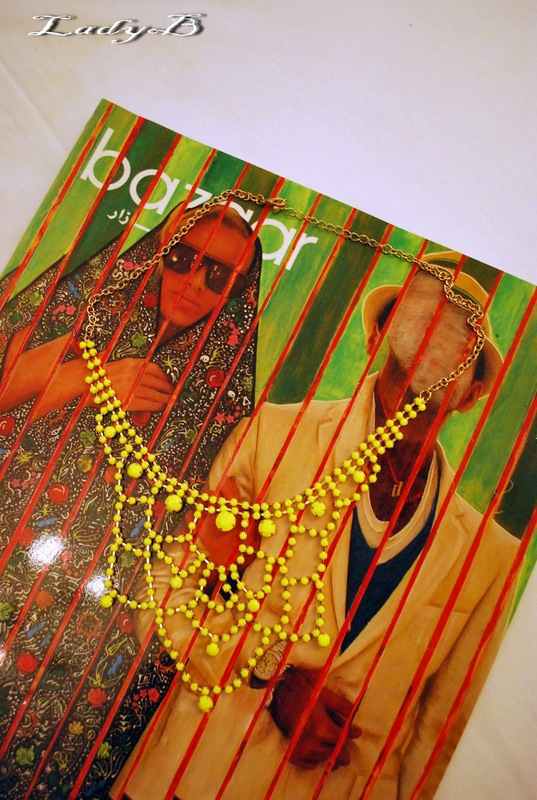 DIY : Neon Necklace ! 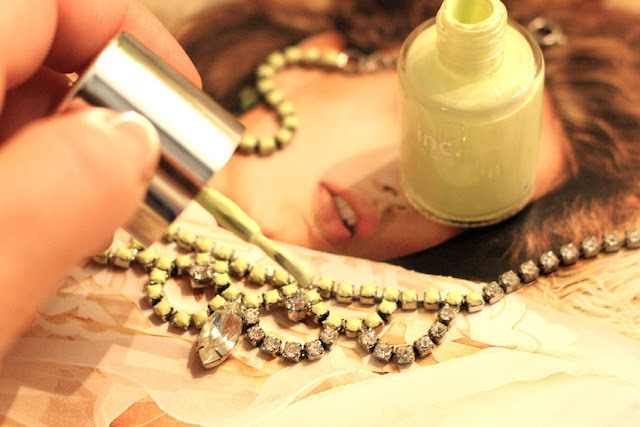 B from A Girl, A Style blog demonstrated an easy DIY tutrial to make a neon necklace using nail polish and a simple rhinestone necklace from H&M. طريقة سهلة نسوي فيها عقد فسفوري نقلتها من وحدة من البلوقات الاجنبية اللي اتابعها استخدمت فيها صبغ اظافر فسفوري وعقد شاريته من اتش اند ام. I saw soo many from simillar necklaces at H&M and Forever 21 which can be perfect to commit this DIY, super easy and very budget friendly somewhat reminds me of Tom Binns necklaces ! On the same note, doesn't my Forever 21 necklace looks so simillar? I got it two months back during an impulse since I'm not a big fan of neons but it's alot brighter in real ! BRAVE :P Very very brave! !